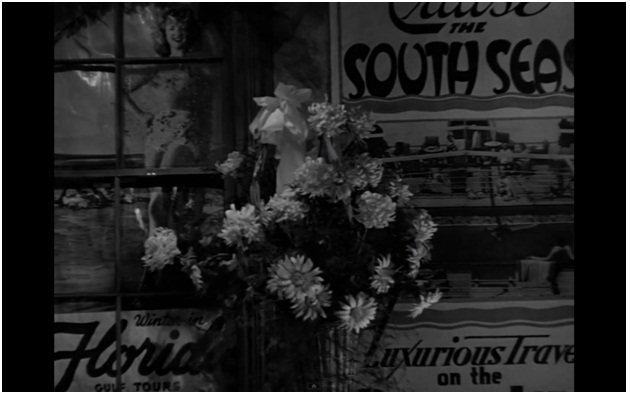 An interesting turn in the walk through of Bedford Falls. 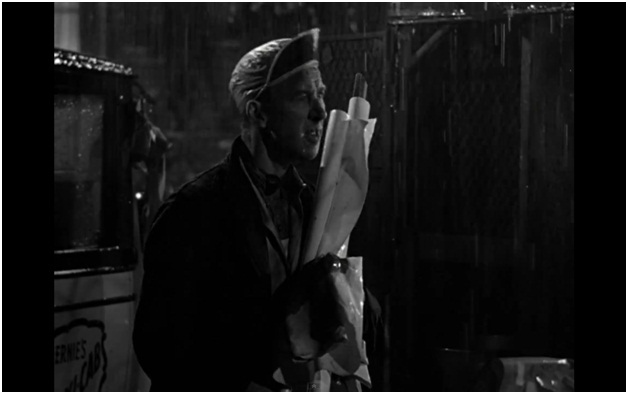 We now visit a building that isn't seen in It's a Wonderful Life, but it is there. At various times we have heard about where and what George wants to go and do, but we also are able to see a few times as well. George mentions in the Boston Co. Suitcase store some of the places that he wants to visit. He also describes to his dad on their last evening together some of his plans for the future which involve big cities and big bridges. 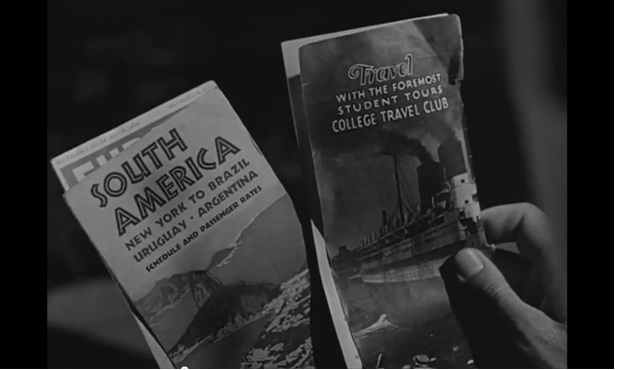 We are able to view some of these places and plans when we see some of the vacation and travel brochures George has. 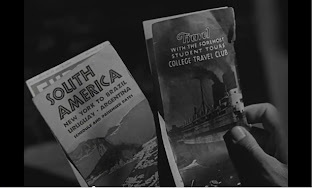 You don't get brochures at the Bedford Falls Library, or garage ... these could only be found at the Bedford Falls Travel Agency. Twice we see the the brochures. First as he's excited about his brother's return, while waiting with Uncle Billy. Just by their conversation you can tell that George is not only excited about seeing his brother come home, but that it signifies his long overdue exit from Bedford Falls. Joseph tells us that he's been "waiting for Harry to come back and take over the Building and Loan". He's describing job openings and employment opportunities around the world. He speaks of "Venezuela oilfields" and the Yukon. Their conversation discusses not what Harry has been doing, or when the train is supposed to arrive, but George speaks of only a future away from there. In his own words he states "there are plenty of jobs around for somebody that likes to travel". The second time we see them, is soon after the first appearance. After George hears about his brothers new wife and plans, he's pondering his own now clouded future. He looks at the brochures in disgust before tossing them away in frustration. No longer speaking of just destinations of vacations as he did earlier, but now these were places he was interested in going to work, study, and live out his dreams. Those plans obviously change over time , but there is no visit to South America or Europe or the Yukon. It's very likely that George uses the Travel Agency again, as he and Mary plan their extravagant honeymoon. 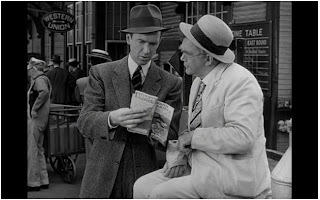 While riding with Ernie, we hear that they plans to spend at least a week in New York, another in Bermuda and hinting that that's just the beginning. The budget for the trip is $2,000 dollars which when adjusted for inflation came out by some calculations, as over $20,000 2010 dollars! Quite the trip! Of course, the run on the bank ruins those plans, but saves the old Building and Loan from collapse. The even of the wedding is not lost, as Mary never misses a beat and uses the opportunity to create an amazing wedding night at their new home ... 320 Sycamore. Helping her, as well as adding to the atmosphere is Bert and an unknown assistance. They are putting posters up on the windows, posters of romantic places. We are not told specifically where the poster's come from but the man helping Bert mentions 'the company' as being the source. I like to think, and remain convinced that it's the Travel Agency that is referred to as 'the company' here. Seems unlikely that there would be any other type of business that would have posters such as these. 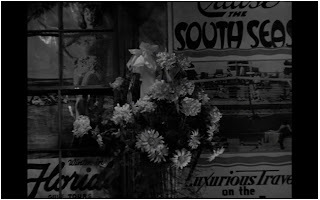 We see the posters on display as George slowly walks into the setting Mary has created for them. 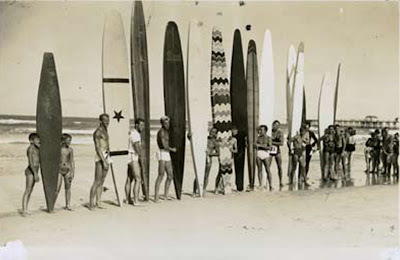 The posters are promoting travel to 'Florida Tours' and 'Luxurious Travel' and 'Cruises on the South Seas'. The scene is more than a bit memorable due to the setting, and part of that is Mary's neat little cooking method for roasting the chicken by an old record player's motion. It ends with Ernie and Bert singing their version of 'I love you truly'. The Travel Agency is a special case in a lot of ways. 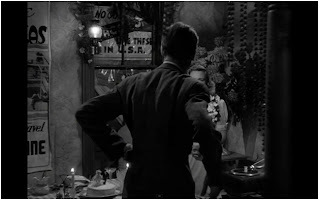 It's not to my knowledge seen in any shape or form as a structure in the movie, yet it's presence is felt by the images above, and most importantly as a reminder of just how much George gave up sometimes. As a village piece it's also very unique. First of all, it's from the last series released by Enesco, and that 'series' has always in my mind was very poor effort by the company. The boxes don't have their pictures and traditional pictured fronts. Scale has never been a point worth noting it seems with the Enesco village but the Travel Agency is in a league by itself when it comes to bad scaling. The quality of the outer facing seems secondary , and the entire shape of the building reminds you of nothing felt from the others. If I had to guess, I would say that Enesco used molds from another village series for this one, and just slapped on the Bedford Falls Travel Agency logo on the windows for release. Still, the piece does have a lot of good points and I always display it, not just because its part of the village, but because of the significance it played in George's character. Like it or not, the building is unique and it will catch eyes for its odd shape. I'll mention a few others as we look through, but onto the pictures. Here's is the Enesco Sixth series building, the Bedford Falls Travel Agency. The building has an odd gazebo shapped extension on the front corner. It draws a lot of attention as it looks very different from all other village buildings. I normally place the Travel Agency between the 'main' street of the setup and the train station. Click below on the 'Read more' to see the rest of the pictures. Enesco Bedford Falls Travel Agency: Back side. Notice the blurry undetailed brick. Small small doors and windows. Enesco Bedford Falls Travel Agency: Above shot. Even from above that gazebo draws eyes away from some of the other buildings. And lit up. This one glows a little, and the gazebo wing lights up nicely. That is , if you like it of course. George" "You know what the three most exciting sounds in the world are?" UNCLE BILLY: "Uh-huh. Breakfast is served; lunch is served; dinner . . ."
GEORGE: "No, no, no, no! Anchor chains, plane motors, and train whistles."